“Zhang Hui” to be held at Long March Space, will be Zhang Hui’s fifth solo at the space since his first show which first presented his paintings a decade ago. This exhibition marks a third important turning point in Zhang Hui’s creative career. 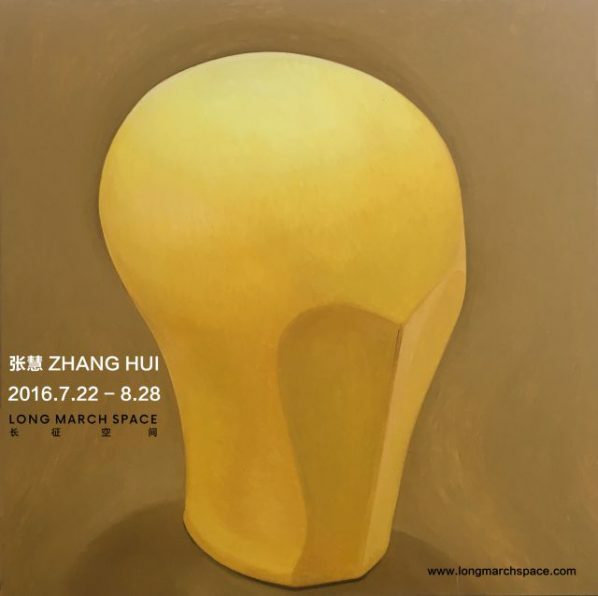 The first turning point appeared in the 2006 “Partial Zones” exhibited at Long March Space that gave priority to his painting and marked a clear trajectory in the medium of his artistic practice by shifting from a sense of on-site presence to the flat surface of painting as the focused means of narrative form. The second transformation took place in the 2009 “21st Floor and a Half”, in which Zhang Hui “created a form of existence” as a means to supersede “the expression of already existing things”. In “Groundless” (2012) and “Plaza” (2014) which followed upon this, he conversely did his utmost to control the components of the form of language, gradually “retrieving” a descriptive means to establish a tenable structural form. With “retrieve” acting as the impetus that directly gave form to that exhibition. bad. “Recognition” is a re-assessment of all those things overlooked in art history and the history of social development, whereas “structure” works in accordance with the other two to break through all new patterns and structures which can appear. Amongst these patterns one can count those still extant and those which have already been abandoned “pluralistically” linked together to form “mutual-structures” and “co-structures”. Returning to the works, Zhang Hui hopes that they will suffice in inciting off a new viewing method, and re-summarize his past works whilst progressing towards a more extended and abundant structure. renewed structure, and the fusing together of human portraits into a single entity like accumulated snow is refined to take the form of a completely meaningful snowy landscape. This act eliminates each paintings’ independence, instead allowing them to mutually overlap to each form but a section of the overall ensemble. In a co-structure with an existing position and composed of existing objects, Zhang Hui’s works would usually already encompass a wide analysis on social reality. In this exhibition, in addition to the aforementioned frame-like considerations, Zhang Hui restructures his own world from different angles. He purposefully implants emotional elements into the structure of the exhibition, and like in the more than thirty watercolor paintings which appeared in his first show, he “retrieves” a great many fragments from his process of growth to continue his creations, as well as methods of retrospection to clarify lost remnants of history and installs these according to a visual logic within different corners of the exhibition space. The existence of this fragmentation allows the constructions of Zhang Hui’s world to be filled with their own dynamism; they begin to flow and cease to be fixed societal models in stasis. The universal possibilities attributed to the addition of emotion also suffice to give the “free structure” and speaking on good grounds of attempted constructions(which can furthermore be taken as “staring” at existing beings and on the other side, as the addition and direction of personal emotion), the artist an opportunity to cast aside any heroic narratives and start out from the position of individual experience. The exhibition will continue until August 28. Courtesy of the artist and Long March Space, for further information please www.longmarchspace.com. Fingerprint Gallery presents Liu Yazhou's solo project "Picking Wastage"